The European Parliament on Wednesday (26 February) voted for a proposal for an optional European Sales Law which aims to provide a coherent set of rules for the marketing of digital products and related services instead of 28 different rules in member states. The European Commission's proposal seeks to give businesses and consumers the choice of using a single European sales law for their cross-border contracts when offering goods across the EU. However, the approach will leave national legislation untouched. Instead, it will provide an incentive to develop a high-standard law that is appealing to traders and consumers. The optional European Sales Law also allows small and medium enterprises (SMEs) to market their goods on the basis of one single law across Europe and the need to ensure consumer confidence through a high level of protection standards. Viviane Reding, the EU’s justice commissioner, said in a statement that the Parliament vote was very good news for Europe and for the digital single market. "It's a win-win deal for small and medium sized businesses and for all consumers in Europe: The European Sales law will cut transaction costs for small businesses while giving Europe’s 507 million consumers greater choice at cheaper prices when shopping across borders," the commissioner said. Ahead of the vote, BusinessEurope, the largest business lobby group in Europe, stressed it would be important to keep the sales law optional as or else the law would be counterproductive in a time where the Consumer Rights Directive approached a crucial phase of its implementation. Baroness Neville Rolfe, president of EuroCommerce, which represents six million retail, wholesale, and other trading companies, told EURACTIV that the Commission should also consider setting up a single digital portal in order to help small businesses go digital. "So if you are a handbag manufacturer in Cambridge, you've got a good idea, you don't just sell it in Britain, you can sell them in Germany and France because you know what the rules are. So it's making the most of the single market," Rolfe said. The Baroness added that there are still parts of the world that are ahead of the EU on e-commerce. “There are parts of the world where they are ahead. Obviously the US is fortunate in having had these enterprising companies in the Silicon Valley, Google, Facebook and so on, but parts of the EU, in Britain there are quite enterprising internet companies, you’re gradually seeing little bits of that happening in different parts of the EU, but I think the EU could help to get us ahead," she said. The EU's single market's cross-border trade still has barriers due to differences between contract laws. They make selling abroad complicated and costly. The 28 different sets of national rules can lead to additional transaction costs, a lack of legal certainty for businesses and a lack of consumer confidence, according to the European Commission. Small and medium-sized enterprises which represent 99% of all companies in the EU, are particularly affected by higher transaction costs. Currently, businesses wishing to carry out cross-border transactions must adapt to the different national contract laws of the member states, translate them and hire lawyers, costing an average €10,000 for each additional export market. 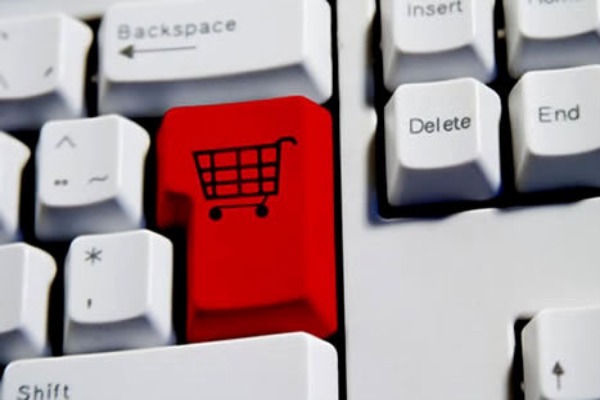 The Common European Sales Law will allow businesses to sell their goods on the basis of one single law and single IT platform, which will allow considerable cost savings, the Commission says. More interference from this mad woman, 95% or British businesses have absolutely no interest in selling their wares beyond our own shores yet 100% of us have to comply with EU diktats as though we are doing. This is burdensome additional costs that we have to absorb just so this woman can say she is doing her job. She should mind her own business, we didnt vote for her, we have never seen her on any ballot papers, she talks down to us as though we are retarded. Why can she not see that the electorate want less of the EU & less of her?